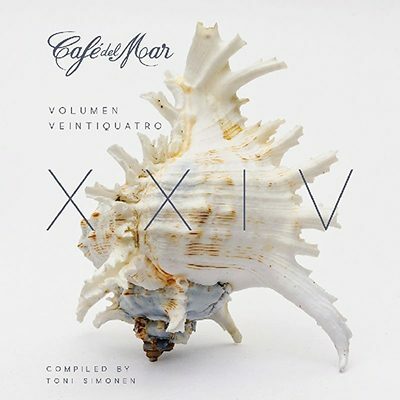 Café del Mar Vol.24 has arrived! Words to describe Café del Mar XXIV 2018 are summer, fresh and hot, rhythmic, trapical, blues, beautiful songs, good lyrics, great artists, warm and sensual, remarkable voices. So just chill and relax or sing, dance and dream with this exceptional compilation. This brand new volume features 31 new and carefully selected tracks by the likes of Nightmares on Wax featuring Back to Nature, Trentemøller, Blue States, Kraak & Smaak and Carl Craig, and to name but a few others, it starts with August 10 by Khruangbin, Trans-Alpine Express by The Elder Statesman & Lord Echo, Human Emotion (Original Mix) by Jex Opolis, Santal by Garden City Movement, Chinaski’s Theme by DJ Day. This is the essential Chillout album for the summer of 2018.